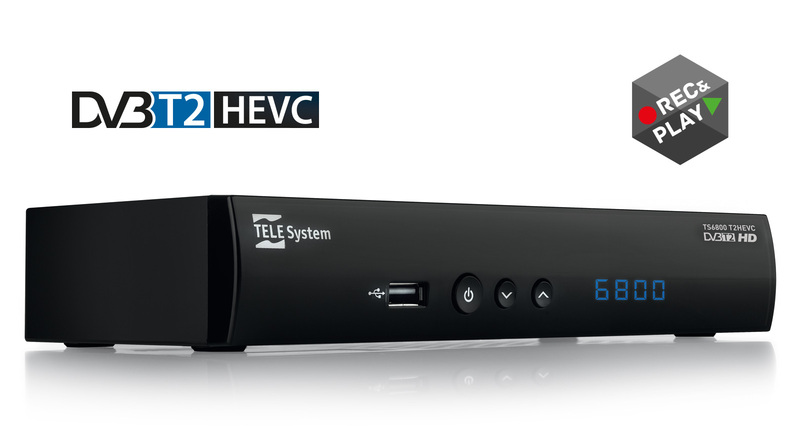 TELE System is glad to introduce the new 3rd generation terrestrial receiver TS6800T2 HEVC. Ready to receive DVB-T2 programs, You can watch your programs with excellent Audio/Video quality, thanks also to the integrated HDMI port. Connecting your device to an external HDD trough the USB port positioned on the device front panel, You can record your favorite movies and programs thanks to the REC & PLAY function by the which You can easily manage the recording. Furthermore your TS6800T2 HEVC is representing a multimedia player for your pictures, music and video that You can watch directly on your TV with the superb quality offered from the newest Mpeg4 H.265 decoding. The “Logical Channel Number”, will sort automatically and in logic way your channel list while the Electronic Program Guide is offering an always updated guide to your favourite programs. The remote control for Decoder/TV is included.